Alternative names: Waylacho, Hualaycho, Maulincho, Kalampiador. Origin: Andean mountains, South America. Tuning: C4 C4, F4 F4, A5 A4, D5 D5, A5 A5 or D4 D4, G4 G4, B5 B4, E5 E5, B5 B5 for 10 string versions. C4, F4, A5 A4, D5, A5 or D4, G4, B5 B4, E5, B5 for 6 string versions. Further notes: German for 'forest zither', zither being the German equivalent of the word Cittern. 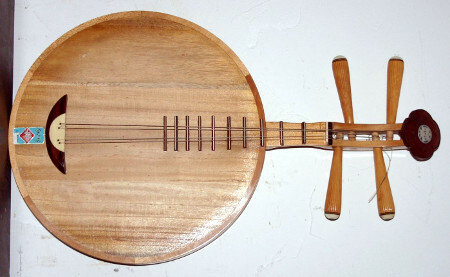 Can have normal tuning machines or one similar to the Portuguese guitar. Steel strings. Tuning: D2 D2, A2 A2, D3 D3. Scale Length: About 1000mm (1 metre). Further notes: Nylon or silk strings. Scale Length: About 370mm, but varies. Tuning: D3, A4 is common, but a wide variety. Usually the two strings are tuned a fifth apart. Further notes: Evolved from the above Yueqin. Only has 2 (or sometimes 3) strings. Nylon or silk strings. Alternative names: Lokanga Voatavo, Lokango Voatavo, Tzetze, Dzendze. Further notes: Steel or bicycle brake wire strings. 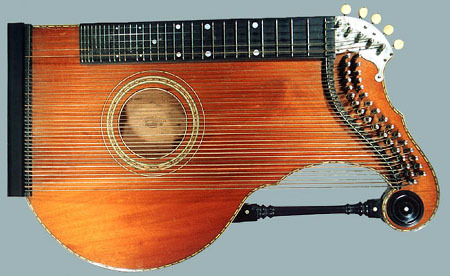 Origin: The Concert zither comes from Austria, but there are many other variants throughout the world. 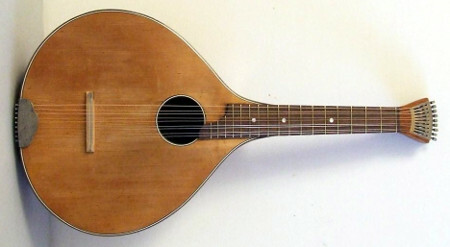 Further notes: Although most zithers only have open strings and therefore would not be included on this website, there are some which have frets under some of the strings. Steel strings. Scale Length: 430-460mm is common, but a wide variation.